The world of sound design is a fertile industry right now, with different mediums such as film, television and video gaming constantly requiring fresh sonic environments – hence the influx of various different plug-ins and instruments, which are built to cater for those aural visionaries who make a living through building worlds using their music. 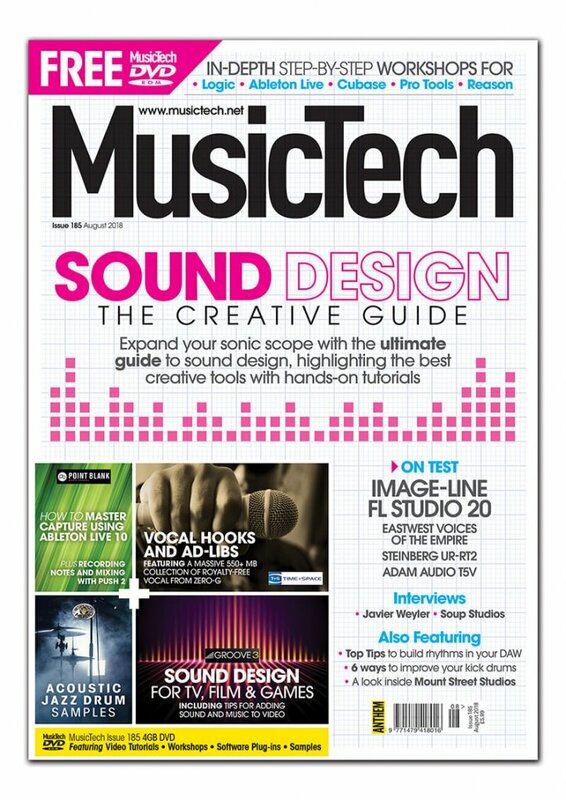 In our lead feature this month we highlight many of the best tools of the trade to equip you to experiment yourself, we present step-by-step guides to various processes, as well as interviews with those whose careers have been built in the world of professional sound design, quite often by blending it with their music-making process. Elsewhere, we speak to former Stereophonics drummer Javier Weyler, whose company Breaking Waves facilitate the sonic needs of filmmakers in innovative, creative ways. We also talk to mix engineer Giles Barrett about his boat-based studio (yes, you read that right!). Of course we’ve got our usual range of in-depth reviews and an ever-expanding tutorial section – including a brand new Reason series. Sound Design: A Creative Guide – We highlight the best creative tools, techniques and tips for expanding your sonic scope. Interviews – Ex-Stereophonics drummer Javier Weyler talks going solo, producing and his latest documentary, we’re welcomed onboard Lightship95, home to Soup Studio and Nottingham’s newly-opened Mount Street Studios show us round their gorgeous studio. 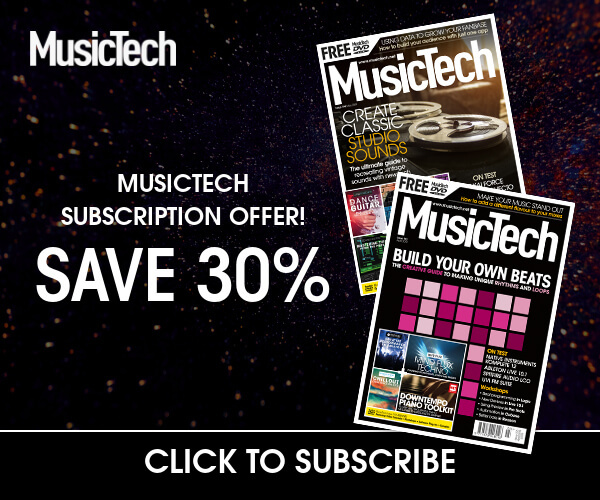 Reviews – Amongst the latest releases in music technology we review FL Studio 20, EastWest Voices of the Empire, Steinberg UR-RT2, Soundbrenner Pulse, ADAM Audio T5V monitors, Fabfilter Pro-L 2, Spitfire Audio Chamber Strings Professional and many more. DVD – 4GB of loops, samples and videos including Point Blank’s guide to mastering Capture in Live 10, vocal hooks and ad-libs, acoustic jazz drum samples and Groove3’s sound design for TV, film and games.